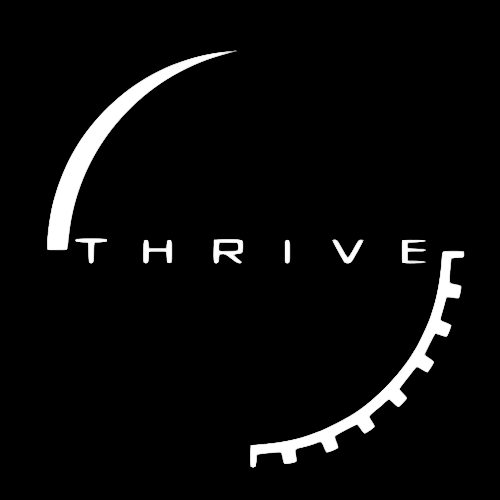 Revolutionary Games is the name of the independent development team creating Thrive. Thrive will take many years to develop into a full game, even for the skilled individuals trying to make it a reality. Revolutionary Games is not a legally recognized game development company. Our team structure isn’t rigid, but we do have a system in place. Our credits can be found on this page, and eventually in the game itself. These are based on concrete contributions. Our overarching team consists of several specialist development teams – graphics, sound, outreach, and so on. Anyone can apply to join any number of these depending on their skillset (see Getting Started), so you could be a member of multiple teams. Members of each team can contribute to discussions on any topic, but generally those specializing in that area will have greater authority. Each team is overseen by one or multiple team lead(s). These are veteran members who have helped significantly within their field and have the added role of organizing others. You can read more about each on the Our Team page. Team leads have the final say within their development area. They’re also the most knowledgeable of all our members, so are best equipped to answer questions. Team lead positions have changed over time (see Project History) and may do so in future. To become a team lead you must have contributed significantly to development, been around long enough to understand it, and be active regularly. It’s worth noting that the teams themselves are fluid – in the future, more may be required if other tasks appear. The Thrive community is the set of all people interested in the game. Developers is the subset of those that are registered on the development forums and other contributors, as well as the community forum moderators (see Forums). Moderators have equivalent power to team leads on the community forums but don’t generally participate in development talk (with some exceptions). Moderators are trusted members of the community and you can apply to become one.